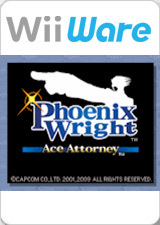 In Phoenix Wright: Ace Attorney (Gyakuten Saiban: Yomigaeru Gyakuten in Japan) meet Phoenix Wright, the rookie defense lawyer new to the scene with the wildest cross-examination skills in town! Take on four intriguing cases to reveal dramatic, stunning, and even comical court proceedings. Use the Wii Remote to investigate the crime scenes, question witnesses and present shocking evidence. 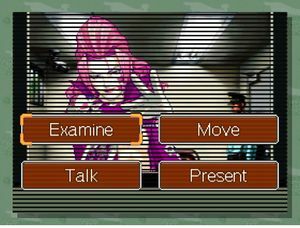 The game uses low resolution scan lines in investigation scenes. This only happens in the hardware backends, the Software Renderer accurately emulates the effect. This can be removed by using a custom blank texture for the game's horizontal lines. Fixed by 5.0-1127. The graph below charts the compatibility with Phoenix Wright: Ace Attorney since Dolphin's 2.0 release, listing revisions only where a compatibility change occurred. r7869 Windows 7 AMD Athlon II x4 635 ATI Radeon HD 5670 Runs good. Sound glitches, but only until music changes. In 4 case bugged connect to controller (wasn't able to fix, restarted). Often freezes on quick load (load from various menus, work for me). This page was last edited on 18 February 2018, at 05:30.